Are you finally ready to begin the journey of making money online? The good news is that anybody (beginners or non-techies) can create a website using this easy and practical steps provided in this post. Starting an online business in a process built upon a series of activities. Step two: Creating a buyer persona and defining your unique selling proposition. Step three: Creating a website for your business. In part one of step three I wrote a detailed post explaining three things you need before setting up a website: domain name, hosting and website platform. In this part two of step three, I am going to give you an actionable step-by-step to teach you how to create a website for your online business. So before you use this actionable guide to building a site, kindly follow this link to read the post on part one: Three things you need before setting up a website. Also, after completing this process of creating a website for your business be sure to visit this post to discover 10 things you need to do immediately after installing WordPress. Want three books that will give you detailed information about how to create highly responsive websites in 2018? Check out the three below. 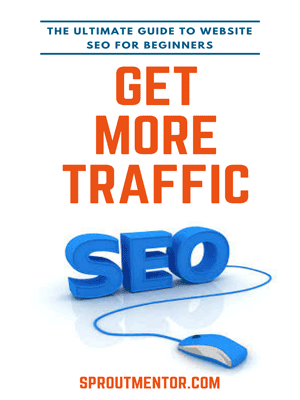 Are you a complete beginner to SEO? If you are sign up here to download the ultimate checklist of all SEO activities you should carry out on your website and other online business platforms. Success! Now check your email to confirm your subscription and get your SEO guide. Why Do You Need to Create a Website for your Business? You are in control: Unlike in social media platforms and other free content creation platforms where rules change, in a site, you define the terms rules. Your competitors have them too: Consumers always research before they make buying decisions. I am sure you do not want to remain irrelevant to them because you are not doing what other online businesses in your niche are doing. Creating a website for your business will help you to be found by those consumers. It will be a resource center: A site acts as a portfolio where you can showcase your skills, projects, and This builds social proof and credibility for your audience. Creating a website for your business can also help you find new job opportunities because a site acts as a resume. Be where your customers are: Research shows that more than 2 billion people have access to the internet daily worldwide. Imagine that 90% of this people are looking for information online or purchasing different products, would you not like to have a platform you can provide that value? Creating a website for your business will help you to be accessible to this people because it runs 24 hours. Influence: Having a website sets you apart as an authority and agenda setter. Your fans will look up to you for information and other value propositions from your site. Low cost of setting up: With the existence of cheap hosting service providers and easy to use website builders and content management systems (CMS), creating a website for your business has become easy even if you’re a non-techie and complete beginner. Networking: A website will help you to connect with and get discovered by other influencers in your niche. This is highly beneficial to your growth and learning development. Be international: Any resource on the internet is accessible to a global audience. Your website is one of those resources meaning that you will make an impact both locally and internationally. Thus, creating a website for your site before starting an online business will open doors to better partnerships and opportunities in international markets. What Do You Need Before Creating a Website for Your Business? You cannot serve all customers on the internet-you will undoubtedly be overwhelmed and lose focus. For this reason, you need to choose a niche before starting an online business. Examples include fitness, marketing, food, politics, and fashion among others. A buyer persona defines who your customers will be, what they want to accomplish, which goals drive them, how they make buying decision and why they need your services and products. On the other hand, USP is the selling point or advantage that will give you a competitive advantage over other online entrepreneurs in the niche you are targeting. It is that characteristic of your products or unique way of doing things that will ensure that you succeed in marketplaces where other people have failed or have left gaps. You need to have a precise definition of the two before creating a website for your website. For more information on these two refer to this article: How to Create Accurate Buyer Personas and Unique Selling Propositions. You need these three before creating a website for your business. A domain name is a network address, which users and search engine with use to access your website. For example, Google.com, Facebook.com, and Yahoo.com are all domain names. A web hosting service provider has servers and data centers that store your website resources. When internet users enter your URL or domain name in the browsers, the search engines crawl all the servers available on the internet and delivers the results to the users, which will be your web pages. Examples include SiteGround, BlueHost, Hostgator, Dreamhost, A2hosting, and Hostwinds among others. A website platform is an environment where you will design and build your website pages and other resources. Examples include WordPress, Wix, Squarespace, and Weebly among others. For more information on the three refer to this article: Three things you need before setting up a website. 4. Know the type of website you want to build There are many types of websites, such as blogs, e-commerce sites, membership sites, academic sites, personal portfolios and news sites among others. To get a comprehensive list of all the type of websites read these two articles here and here. Every website has a unique design and requires different resources, such as themes, hosting and plugins, which serves its purpose better. For this reason, understanding the type of website you want to create before starting an online business will help you to make the right choices on different resources required from the beginning to the end. Before we Dive into creating a website for your business, first let’s gather all the resources we need as shown in the table below. This is just a hypothetical example just to give you a mind map of what you need before starting out. You can also check out Bluehost’s managed WordPress hosting, which starts at $19.90 per month. Additionally, if you want a cheaper alternative for managed WordPress Hosting take a look at SiteGround’s managed WordPress hosting in this link. You can also check out my full SiteGround review here on the 10 reasons why I love SiteGround. Popularity:Over 25% of websites are powered by WordPress see them here in this showcase. Theme and plugin ecosystem:WordPress has over 1million+ plugins and themes which are all free. PS: I am talking about WordPress.org, not WordPress.com. Read a comparison of how the two are different WordPress.org vs. WordPress.com. Find All Blogging Tips Here! So What Do You Do Next Now? You can head over to Bluehost and signup for a hosting package with a 50% free offer if you have not already done so by now. Visit Bluehost Get started Guide to complete any other task recommended in the Cpanel, such creating an official email account and adding SSL certificates among others. Read this article to learn 10 things you must do immediately after installing WordPress. I know building a website for fun is not your mission. I want to believe that you desire of creating a website for your business is motivated by long-term benefits, such as making money online and building a brand. If this is the case, you need to follow a series of well-guided steps above to set up things right from the beginning in the process of starting an online business. Below is a quick summary of all the steps you need to complete in chronological order. Each step builds on the other because they are interdependent. I have also added a link to each where you can find detailed information about that particular step. If you created a WordPress website in step (e) above check out this article on 10 things, you must do immediately after installing WordPress. Let the world know your website exists by promoting it.